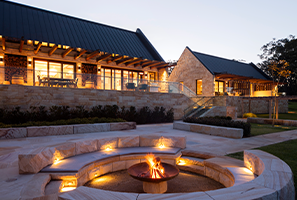 A once horse stable is now developed into a private luxury farm stay venue. 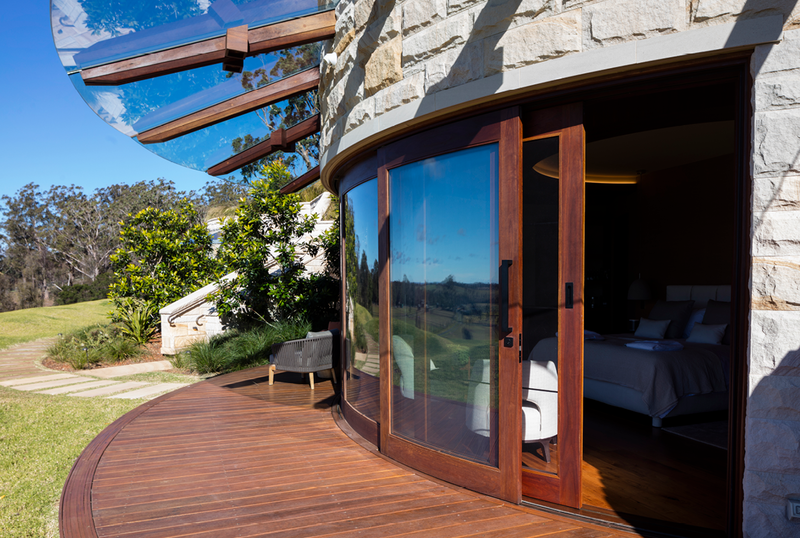 Fully equipped and accommodating with a modern outback touch, it is less than 2 hours’ drive from South-West Sydney, the country side has never been so easy to visit. 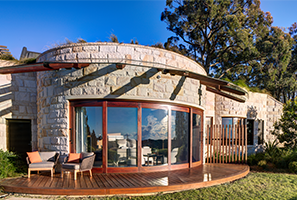 Designed by Manosa & Co and constructed by Horizon, together the team delivered this grand facility with its spectacular circular guest pods capturing the peaceful rural views. The 3 circular guest pods each have a 4m wide curve opening with 3 sliding timber framed glass panels, weighing 120kg each. This wide opening can be difficult to achieve when working with curved tracks and heavy panels. However, it posed no challenge for Acacia Joinery because Brio’s Zero Clearance 350, a discrete hardware, was used for ease of application. The minimal gap between track and panel delivers a flawless ceiling to ground finished look, which also allows a maximum opening that captures the external views. Brio’s Single Run 180 was also used on an exterior straight sliding application for a 3-panel door. Due to its endurance and quality stainless-steel finish, makes it the perfect choice for exposed outdoor areas. Since development, this venue has been a relaxing destination for its owner.